When I read this quote above from the book Women of the Word by Jen Wilkin, I couldn’t get it off my mind. I knew it’s what I wanted to focus on in 2017. I want to train my mind, heart and soul to BEHOLD my God and not my circumstances. 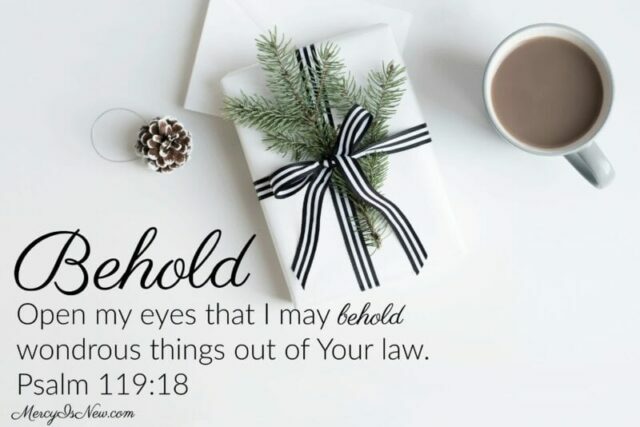 What are you beholding today? What did you behold most of all in 2016? Would you like to join me in learning to behold more of HIM and less of me in 2017? One huge way we can learn to behold God is to learn more of Him. How do we learn more about the God of the universe? By studying His Word. We study God’s Word to know Him more. 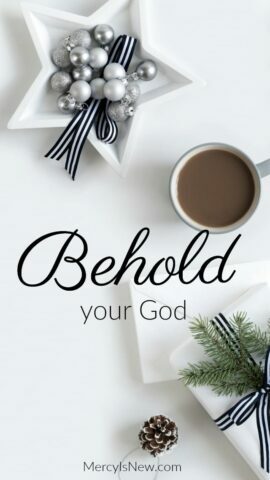 To behold our God. Join me in starting 2017 by reading through the book Women of the Word together in our closed facebook group and learning to treasure the Word of God which helps us to KNOW our God more. Click here to get all the details on our book study! We are reading the book together along with a new write the Word plan and a passage to memorize! Let’s behold our God in 2017. 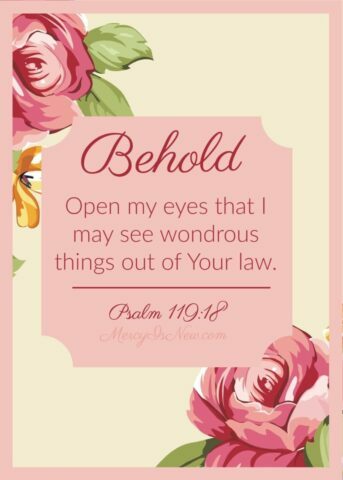 Lord, open my eyes that I may behold wondrous things out of Your law. May I know You more this year than last. May I become more like You in the coming days and months. May I be transformed into Your likeness one day at a time. Print your own copy of this verse & prayer. I’ve chosen a word of the year for quite a few years now! Here are some previous years! If you’ve chosen a word or theme, I would love to hear what God has placed on your heart in the comments! « Wishing You the Joy of Jesus!